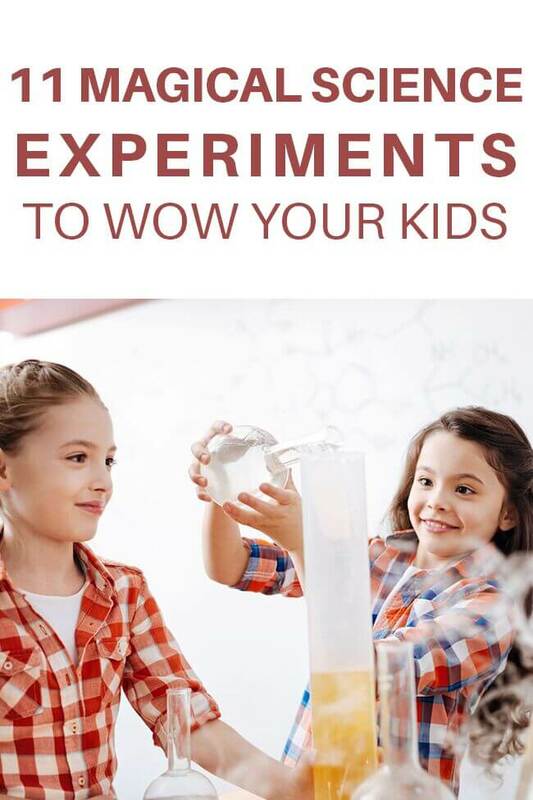 Your kids will love these genius science experiments that seem like magic. 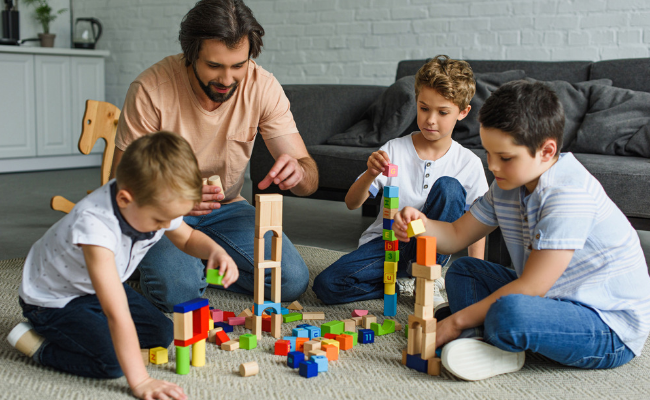 Simple to set up and loads of fun for families. 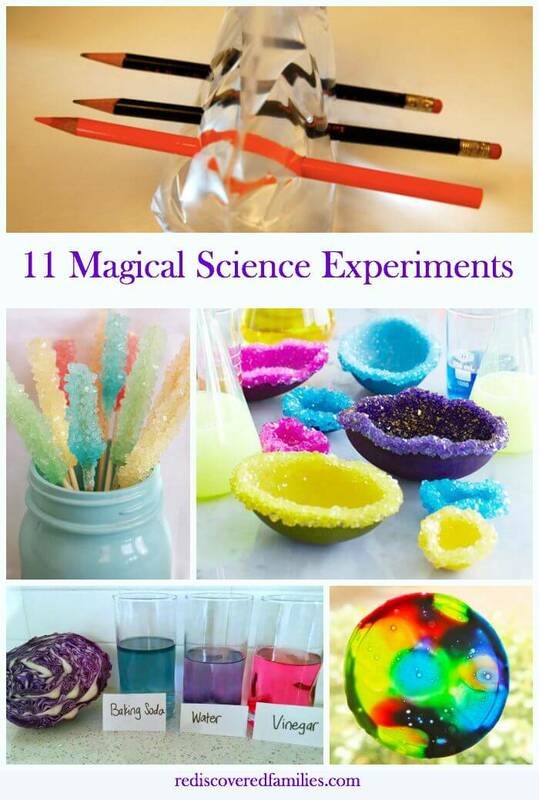 Try these magical science experiments at home and wow your kids. I recently organized a Harry Potter event for tweens. It was a blast! We made wands and dressed up in robes. The best part of the event was the magical activities. These were actually science experiments in disguise. We had a lot of fun with them and the tweens were super impressed. Sometimes science can be pretty magical. 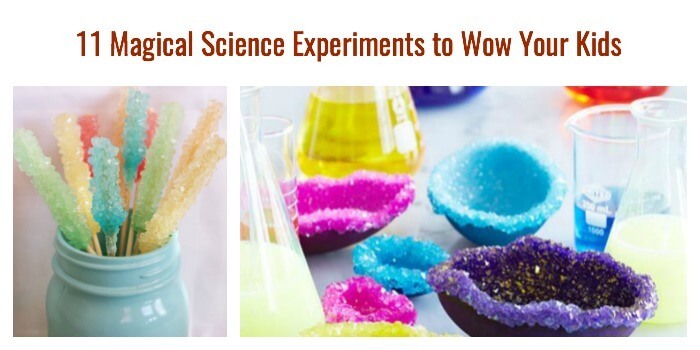 Set up some of these magical science experiments and impress your kids by bringing gummy worms to life, changing the colors of liquid, growing crystals, or magically inflating balloons with a simple spell. Have fun! Enjoy the wide eyed wonder and the exclamations of delight. I know I did! Bitz and Giggles has instructions for great experiment that lets you make gummy worms come alive! 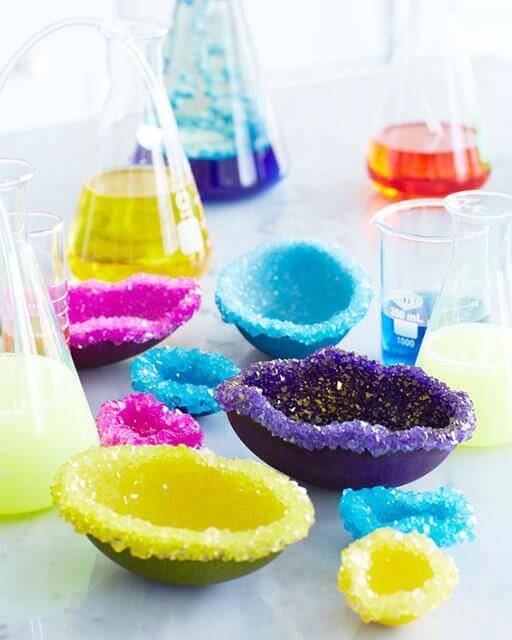 Transform eggs into sparkling geodes. Wow! Head over to Happiness is Homemade to learn how to make crystals you can eat. Have you ever seen slime that changes color in response to heat! How cool is that? Head over to toLeft Brain where you will find a tutorial. 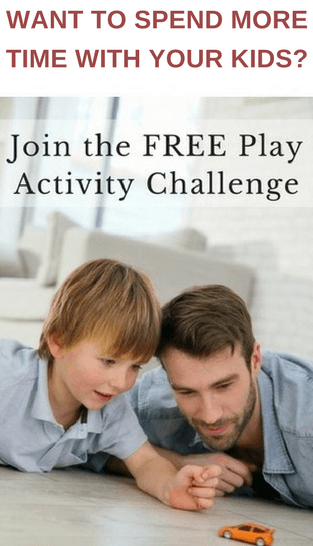 This will really wow your kids. Babble Dabble Do combines art and science and transforms slime into a beautiful sun catcher. 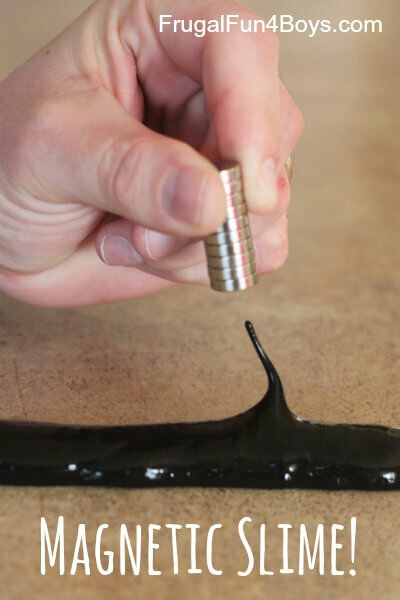 This magnetic slime from Frugal Fun For Boys looks like something you’d see on a horror movie (which means it is guaranteed to impress). How do you inflate a balloon without using breath? With science of course? At our Harry Potter we inflated balloons by capturing some Fungus Breath. The kids were really impressed with the results. It’s super easy to do. Find the directions here. Download a free activity sheet to find another simple way to inflate balloons. 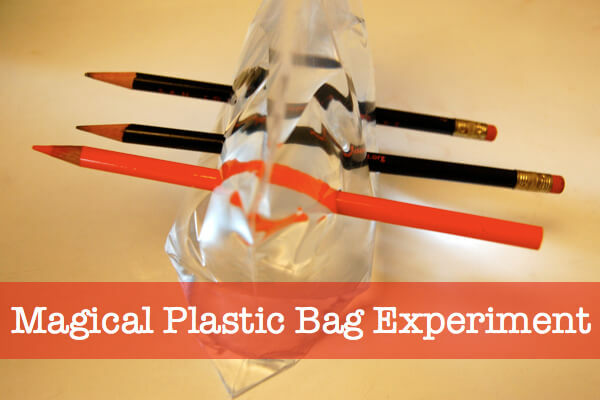 I did this magical plastic bag experiment with some tweens and it was huge success. We used bamboo skewers instead of pencils. The record number inserted in a bag was 35. We also made this potion that changes color. All you need is a purple cabbage and some vinegar and baking soda. This one really does look like magic. The kids were awed when it changed color. 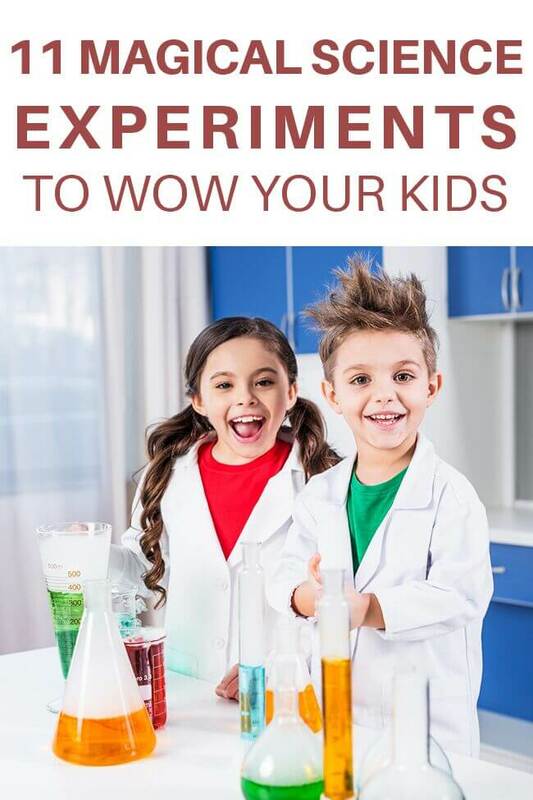 What is your kid’s favourite science experiment. Have you found any experiments that seem magical? Want to keep this post for later? Save one of the pins on this page. What do you think? Have you tried any other magical experiments? Which one did your children enjoy the most? Please leave some links in the comments below. The plastic bag experiment was huge during during a kindergarten science class as our library. They also loved “Polident Pop” – put coke and Polident in an old film canister, and as it builds pressure the lid shoots off! It’s so fun to see kids that excited about science! The plastic bag experiment seems to be a hit with every age group. The Polident Pop sounds like a lot of fun. Any ideas where to find film canisters? Great ideas. My son loves science, we really must do more experiments. 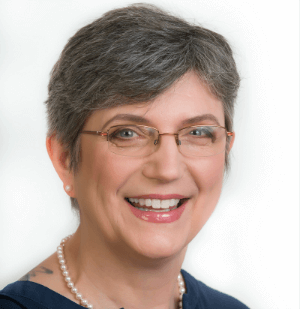 Karen Bell recently posted…Mud, mud glorious mud! Click on the links to find the instructions. The links are the words in red. Just click on them.